The alien invasion genre is one that’s almost as old as cinema itself, which is why it’s always exciting when someone comes up with a new twist on it. We saw that happen last year with Denis Villeneuve’s Arrival – one of the best sci-fi films of the decade – and in 2018, director Rupert Wyatt will attempt to find similar success with Captive State. Not much is known about the mysterious project just yet, but what we can tell you is that John Goodman leads a cast that also includes Vera Farmiga and Ashton Sanders. It’s Goodman who features in our first look at the film though, as you can see the actor in the photo up above getting ready to go into some kind of chamber. We’re not sure of the exact context of the scene, but color us intrigued. Circling back to what we were saying before though, and Captive State is set to put a new twist on the alien invasion genre in that it takes place “in a Chicago neighborhood nearly a decade after an occupation by an extra-terrestrial force, exploring lives on both sides of the conflict – the collaborators and dissidents.” Now that’s something you don’t see too often, right? Plus, after giving one of the best performances of 2016 in 10 Cloverfield Lane, we’re more than ready to watch Goodman head back into the realm of original sci-fi. 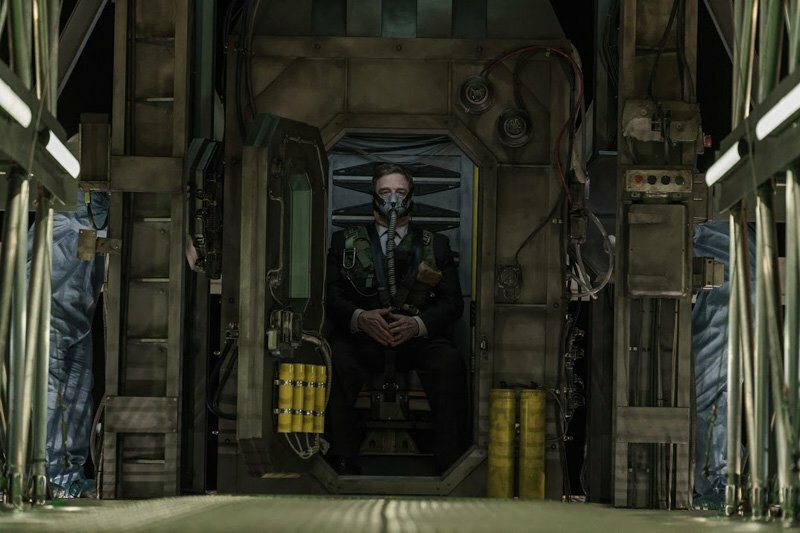 Captive State will invade theatres everywhere on August 17th, 2018 and so far, it looks to be a different brand of alien invasion, opting for a more thought-provoking picture than your standard ‘human vs. other’ setup. Here’s hoping Rupert Wyatt can do good on that potential.